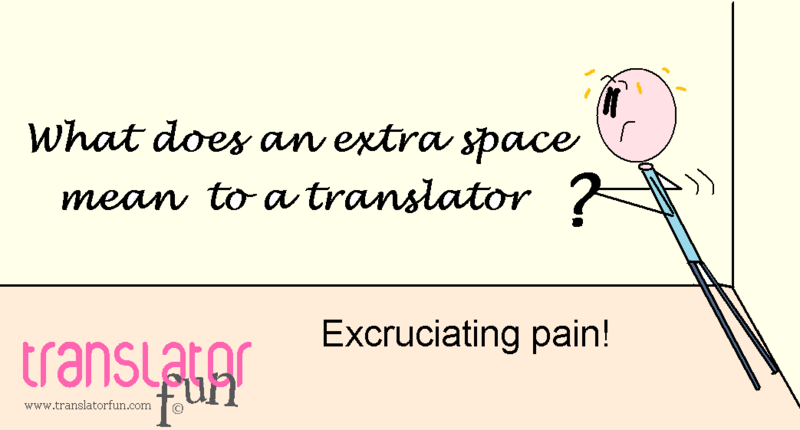 What does an extra space mean to a translator? Translators are passionate about proper spelling, grammar, and spacing. This entry was posted in Freelance translator, Fun, How to, language, lifestyle, punctuation, Translation and tagged English, language, punctuation, translation by Romina Bona. Bookmark the permalink.